Description Inverneill, Mausoleum. General view. Scope and Content View of mausoleum at Inverneill House, Argyll and Bute The estate of Inverneill was acquired in 1773 for Sir Archibald Campbell who was on active military service in Madras. In 1791 Archibald's brother, James, inherited the estate and his descendants owned it until 1954. In 1802 James Campbell had a mausoleum built on the estate, although his brother Archibald had been buried in Westminster Abbey. 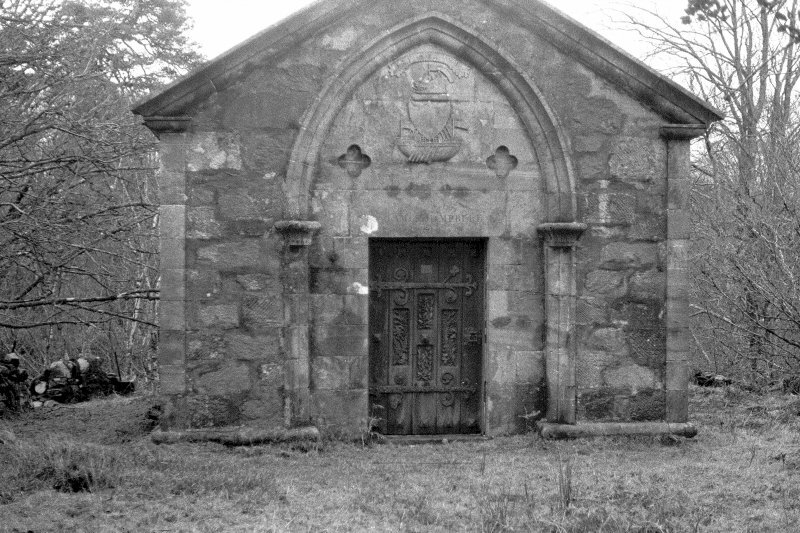 The mausoleum was built by the mason, John Wilson, and is of Gothic style. It is built of rubble with sandstone dressings. The entrance doorway is framed by a pointed arch recess and a coat of arms is carved above the door. The mausoleum now commemorates General George Campbell who died in 1882 and Lorne Campbell who died in 1883. Source: RCAHMS contribution to SCRAN.